There are two ways to get hot water to a bathroom in a loft, one is to fit a combi boiler which is not a bad idea as it allows you to remove the cold water tank from the loft. 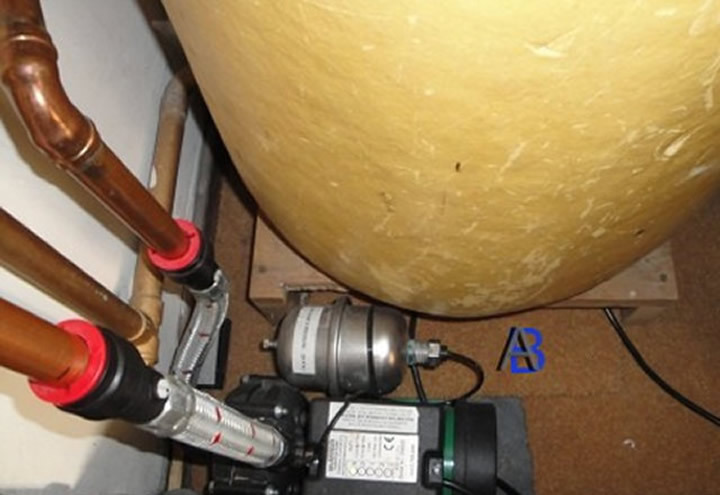 The second way is with an automatic electric pump. These can supply hot and cold water power shower) or just hot water as in picture. They are described as Quiet running but if not fitted correctly can echo though floor boards etc. they are free standing and must stand on rubber feet or a rubber mat. The pictures show a Salamander pumps ESP 120 this can work with either Positive and/or negative head system and is fully automatic. 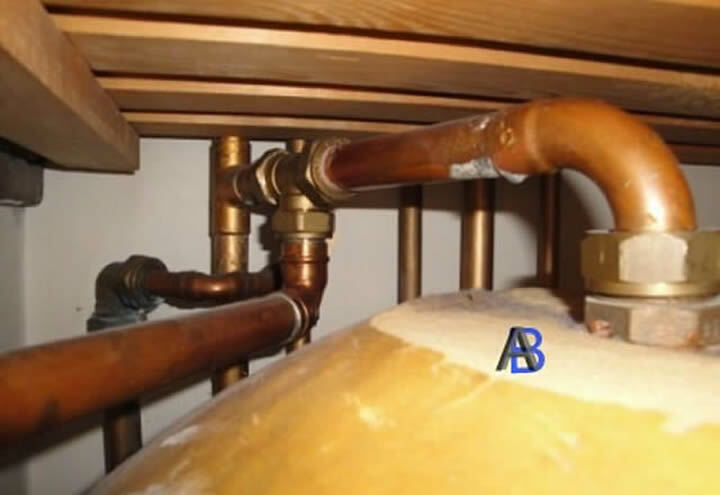 You must consult manufactures instructions when installing, but the main concerns are that the water temperatures is not to high (must not exceed 60º-65ºC), there is sufficient water supply and it is connected so that any air bubbles from the hot water tank can escape up the expansion pipe and not get into the pump. If you see in picture the supply to the pump is taken from the under side of the pipe so any air bubbles will escape.